With Penny Gore. Stenhammar: Interlude (Sangen). Britta: Brystrom Der Vogel der Nacht. Rosenberg: Orpheus in Town Suite. Plus music by Walton, Stanford, Wagner, Bizet and Chagrin. 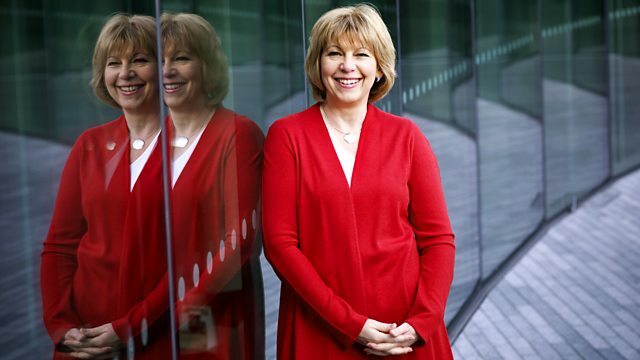 Penny Gore continues a week of music as part of Afternoon on 3's Nordic and Baltic season, and features performances from the BBC Symphony Orchestra and the BBC Singers. Today's programme includes music from three Swedish composers: Wilhelm Stenhammar, who was influenced by Wagner; Hilding Rosenberg, from a later generation; and the contemporary composer Britta Brystrom. Orchestra: BBC Symphony Orchestra. Conductor: Rumon Gamba. Performer: Paul Watkins. Orchestra: BBC Symphony Orchestra. Conductor: Edward Gardner. Conductor: Richard Pearce. Choir: BBC Singers.